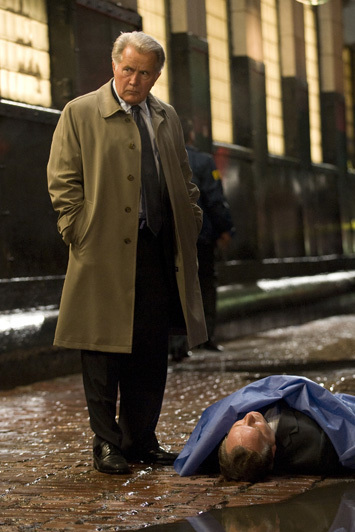 Richard Gere and Martin Sheen star in THE DOUBLE, a film by Michael Brandt. Picture courtesy Hyde Park Entertainment. All rights reserved. Rated: PG-13 for intense sequences of action and violence, some disturbing images and language. Having spent his career chasing Cassius, Shepherdson is convinced his nemesis is long dead, but is pushed to take on the case by his former supervisor, Tom Highland (Martin Sheen). Meanwhile, Agent Geary, who wrote his Master's thesis on Shepherdson's pursuit of the Soviet killer, is certain that Cassius has resurfaced. As Shepherdson and Geary work their way through crimes both past and present, they discover that Cassius may not be the person they always thought him to be, forcing both to re-examine everything and everyone around them. A taut espionage thriller, THE DOUBLE stars Richard Gere, Topher Grace, Martin Sheen, Stephen Moyer, Odette Yustman, and Stana Katic. Written by Michael Brandt and Derek Haas, the team behind "Wanted" and "3:10 To Yuma," the film also represents Brandt's directorial debut. Richard Gere stars in THE DOUBLE, a film by Michael Brandt. Picture courtesy Hyde Park Entertainment. All rights reserved. 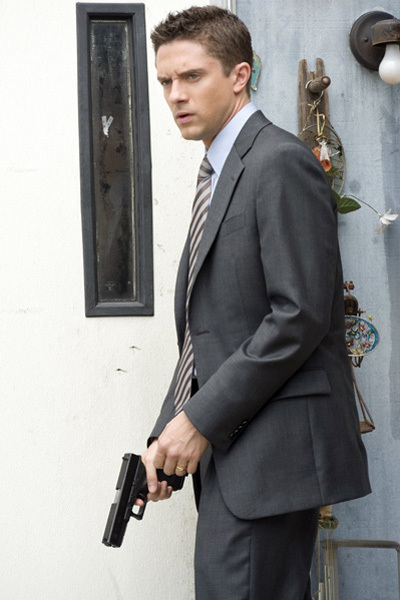 Topher Grace stars in THE DOUBLE, a film by Michael Brandt. Picture courtesy Hyde Park Entertainment. All rights reserved. 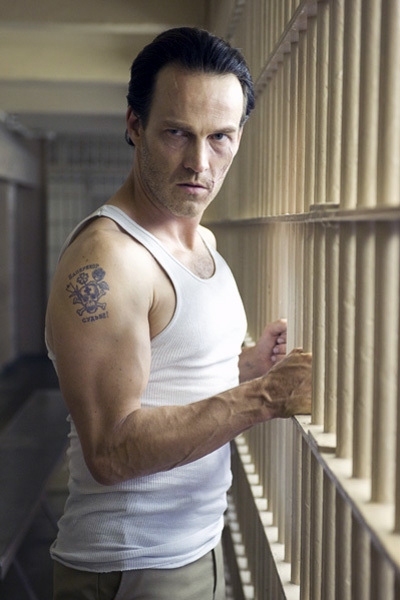 Stephen Moyer stars in THE DOUBLE, a film by Michael Brandt. Picture courtesy Hyde Park Entertainment. All rights reserved. Stephen Moyer and Richard Gere star in THE DOUBLE, a film by Michael Brandt. Picture courtesy Hyde Park Entertainment. All rights reserved. 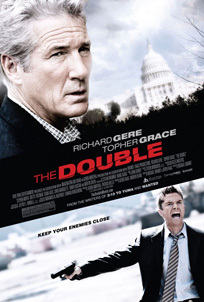 Richard Gere and Topher Grace star in THE DOUBLE, a film by Michael Brandt. Picture courtesy Hyde Park Entertainment. All rights reserved. 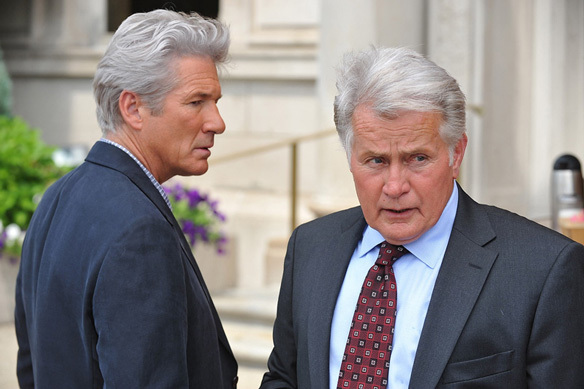 Martin Sheen stars in THE DOUBLE, a film by Michael Brandt. Picture courtesy Hyde Park Entertainment. All rights reserved.